The Western Digital WD Blue 2TB M.2 SATA SSD is among our favorite storage drives and is a remarkable value for any system builder who wants fast, dependable storage. We’ve featured this drive in several of our latest build guides and for good reason, the WD Blue 2TB M.2 SSD is simple to install, incredibly reliable and is currently one of the highest capacity M.2 drives. 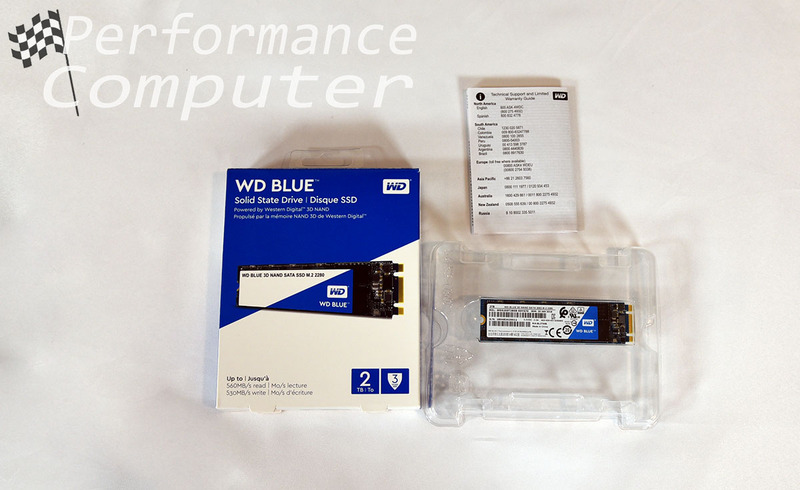 The front of the box is relatively simple, it displays Western Digital’s branding as well as some specs on the drive including max read and write speed, capacity and length of manufacturer’s warranty. The back of the box has a cutout where you can see the product sticker on the drive as well as some legal documentation. Included with the drive is a technical support and limited warranty guide. Here it is, tiny but not timid! It’s still remarkable to me how two terabytes of storage space can be packed into such a small form factor, especially considering that this drive does not require cables, it truly is amazing! 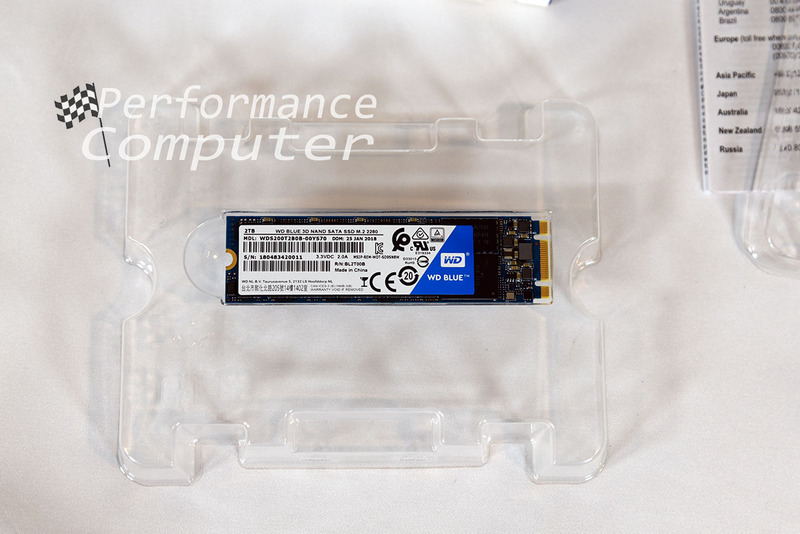 Here’s the back of the WD Blue 2TB M.2 SSD. 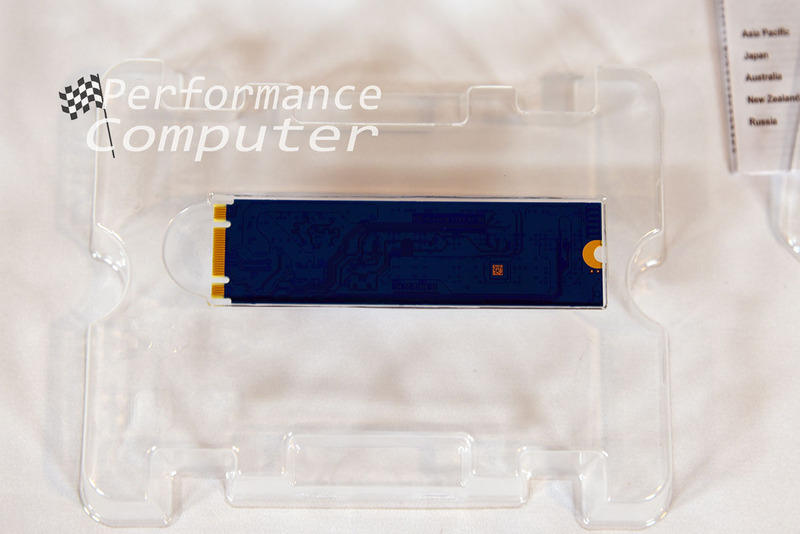 I love that Western Digital made the PCB blue on this unit to contrast with the black PCB on their WD Black NVMe based M.2 SSD, an insanely fast drive targeted towards gamers, video editors and PC enthusiasts. 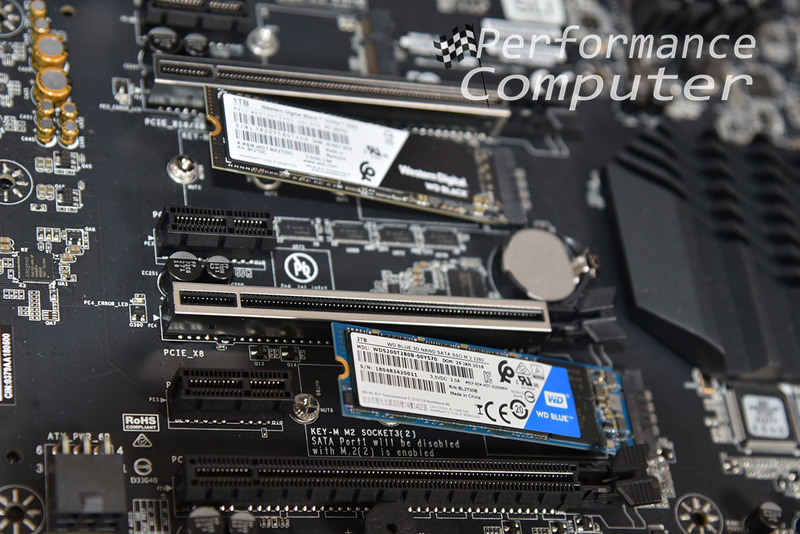 Keep in mind, prior to purchasing this drive or any SATA SSD in an M.2 Type-2280 form factor, make sure that your motherboard supports SATA M.2 SSDs. 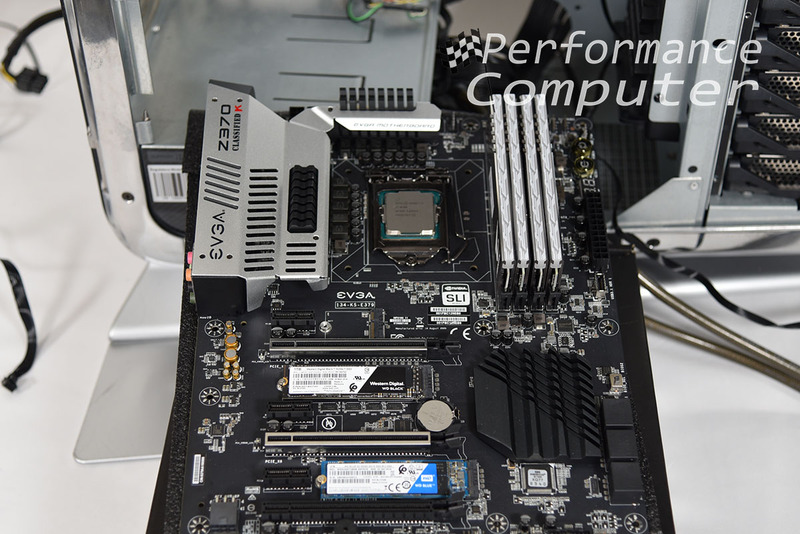 Most modern motherboards have multiple M.2 slots and certain slots are designated for both PCIe (NVMe) drives as well as SATA drives, while other slots only support PCIe drives. Your motherboard’s manual will explain this. Installation of an M.2 drive is very simple, just line up the contacts with the M.2 slot on your motherboard. Gently push the drive in, it will pop-up at an angle and finally you hold it down while you use a small screw to secure it, the screw should be preinstalled or included in your motherboard box. The WD Blue 2TB is using 3D NAND technology which essentially means that instead of laying the layers of memory side-by-side, they are stacked in a three-dimensional space. By using a 64-layer design, Western Digital was able to increase drive endurance, performance and capacity, all while lowering power consumption. Endurance and capacity are among the most important things to consider when choosing a storage drive to serve you for years to come. Western Digital’s claim of increased endurance isn’t marketing jargon either, by stacking the layers vertically as opposed to the older planar (side by side) method, interference between cells is no longer a hinderance. On the endurance side of things, the 2TB WD Blue is rated for up to 500 terabytes of written data. These are impressive numbers and typical users will likely never come close to that amount of written data. 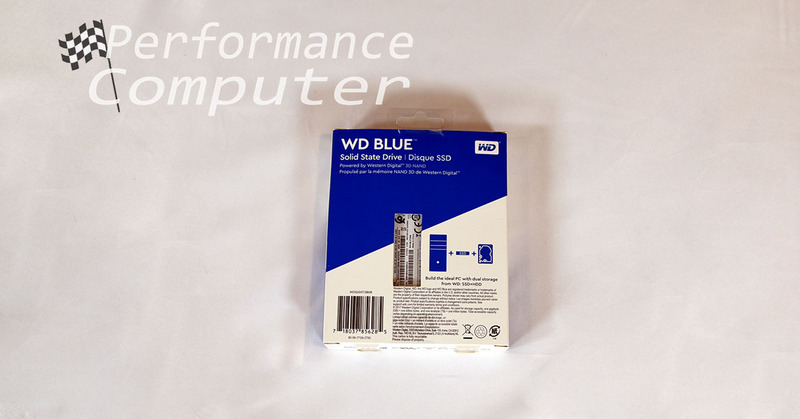 As far as performance, we were equally pleased with the results of the WD Blue 2TB. On average our maximum sustained transfer rate was 519MB per second for sequential reads. For sequential writes, it averaged 494MB per second. Keep in mind that this is a SATA drive and these results are on the high-end of that spectrum. 4K read/write performance which is used to measure a storage drives ability to transfer small files. These are the files that most users will be accessing each day and these stats are directly tied to the performance you can expect when booting up from the drive as many small files are loaded upon startup. 4K read performance clocked in at 41MB per second and 4K write performance was 117MB per second. Again, these numbers are impressive. To give you some perspective, these stats managed to best the venerable Samsung 850 EVO. 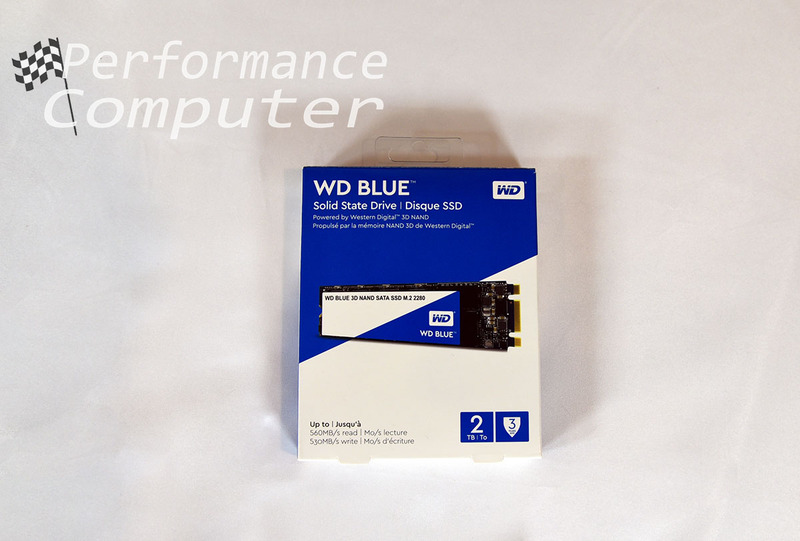 The WD Blue drives come in both a 2.5” size as well as our preferred format, M.2. A 3-year warranty is included and you get access to Western Digital’s software suite, SSD Dashboard. Within SSD Dashboard you can see the health and endurance level of the drive, drive temperature and the speed of the interface. Acronis cloning software is also part the suite which is helpful to those who want to migrate from an older drive. Overall, we feel that the WD Blue series of SSDs offer a compelling value as a storage drive for games and media as well as an operating system for average users. There will always be the subset of power users who demand the very best performance which is where the WD Black series of drives truly shine. Keep in mind that the average user who browses the internet, uses Office applications and doesn’t edit videos, etc. will not notice the difference between a SATA and NVMe SSD and the WD Blue will suit them just fine. For power users the WD Blue is still an excellent choice as a secondary drive to complement a WD Black in a workstation or gaming build. 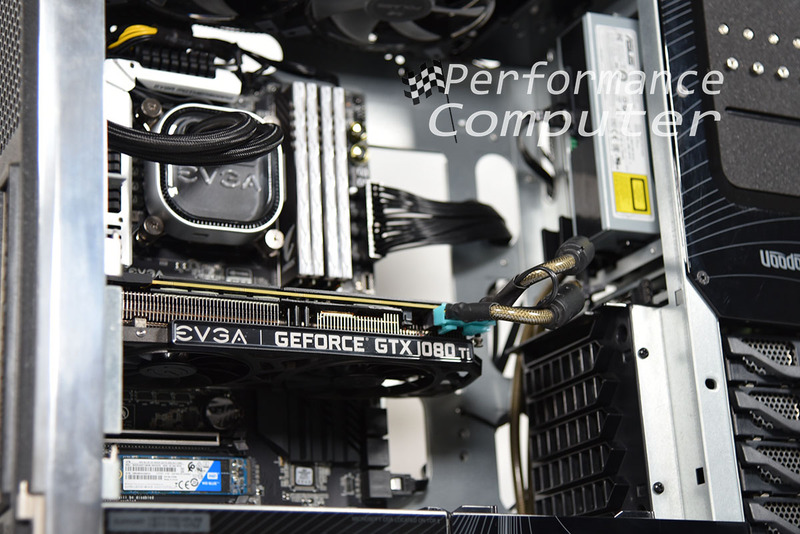 ITX computer builders will especially appreciate the large 2TB capacity as they are often limited to a maximum of two M.2 drives. 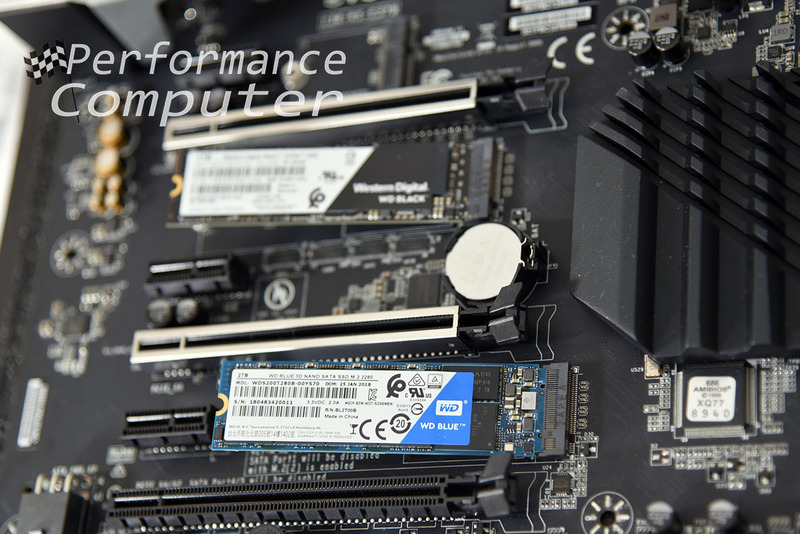 We highly recommend the WD Blue SATA M.2 SSDs!